Some of the many things we do! Our commitment to maintaining the highest quality and customer satisfaction make us an easy choice to trust with your next project. We’re excited and honored to be a part of making your house, the home of your dreams. Your home is more than just a place to live. It’s where family bonds are strengthened and friends are always welcome. That’s why it has to reflect your unique style. In our design-build process, you will choose the style of home that inspires you and complete it with the features, fixtures, and finishes that fit your personality. You will be involved in every aspect of the construction process, so it is your home long before you move in. If your home is feeling a little too cramped for your family’s needs, We will design and build a spacious addition with plenty of room to grow. Looking for a new deck? Outdoor living will allow you to best enjoy the fresh air and sunshine. Whatever your budget and preferred style, our team will help you navigate your options and construct the deck you’ve always wanted. Window replacement increases energy efficiency, boosts the aesthetic of your home, and raises its value. 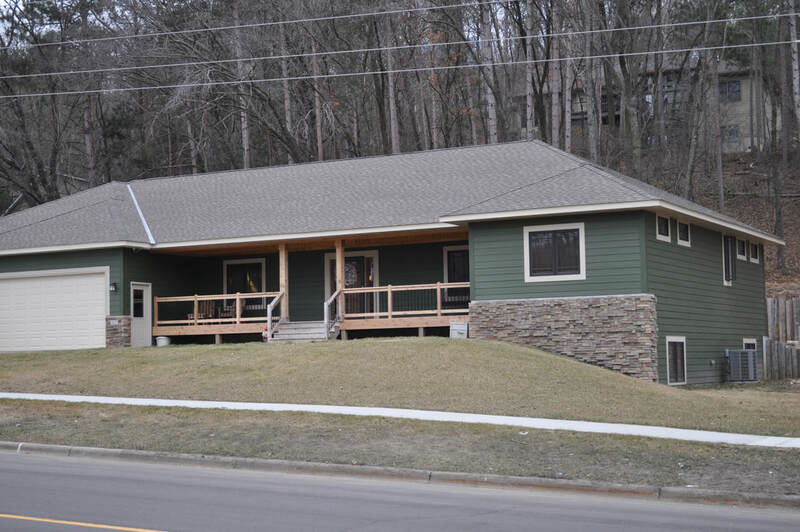 As a top siding contractor in Red Wing, we offer full-service exterior remodeling and replacement. We will help you select from a variety of siding options such as fiber cement, wood, and metal. The kitchen truly is the heart of every home, and we make it a beautiful, comfortable place for friends and family to gather. Our design process allows us to capture all of the details that are most important to you so that your kitchen remodel results in a space that functions exactly like you’d like it to. We can help guide you in the selection of beautiful flooring, gorgeous countertops, tile, lighting, backsplashes and kitchen cabinetry to ensure you aren’t just happy with the finished product you are thrilled. We offer seamless gutter installation through our in house owned gutter company. We also offer gutter repairs, and gutter cleaning services to residents and businesses. We are fully licensed and insured, and take great pride in our work, and provide our customers with excellent care.